FREE!! We are now able to offer an amazing deal. 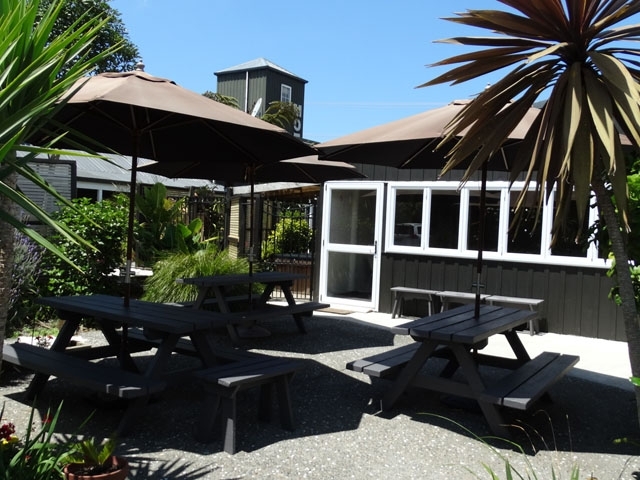 Thanks to BodyWork Gym Whangamata our guests can now have full access to BodyWork Gym for the duration of the stay. 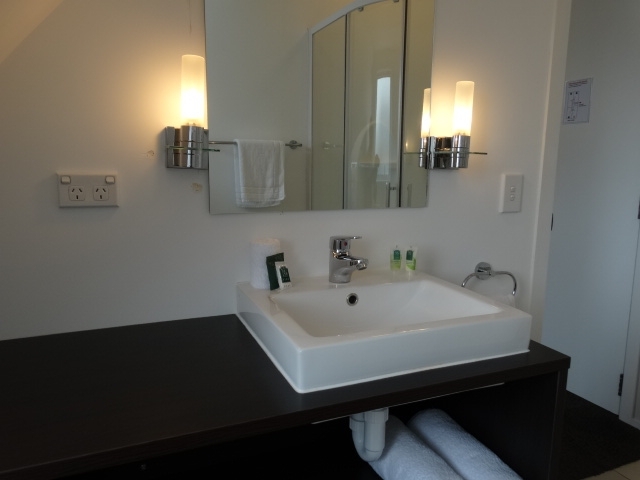 Just ask at Southpacific Motel reception for the key, once you have checked in! 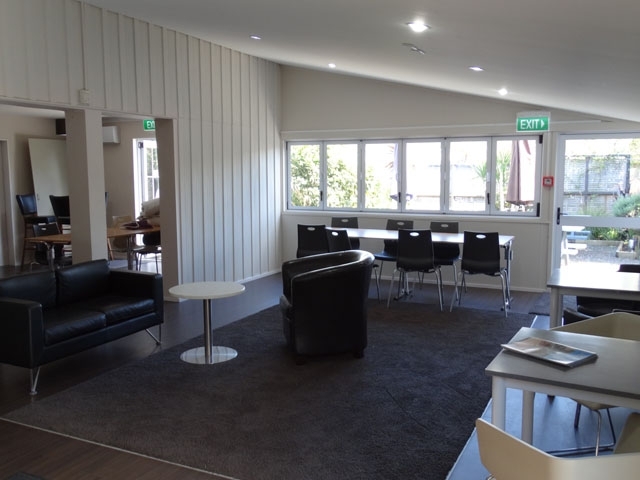 Southpacific offer the only purpose-built conference facilities in Whangamata, we can cater for groups of up to 25 people. Our on-site conference centre has wireless internet, data projector and screen, whiteboard and flipchart. We can cater for morning tea, lunch, afternoon tea and arrange off-site evening meals. 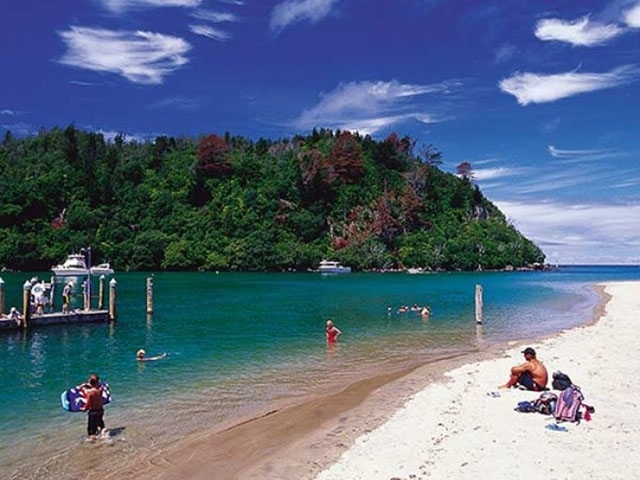 We can also arrange off-site activities such fishing charters, group mountain biking, and bush walking trips. A perfect venue for your next conference, training or team building activities. 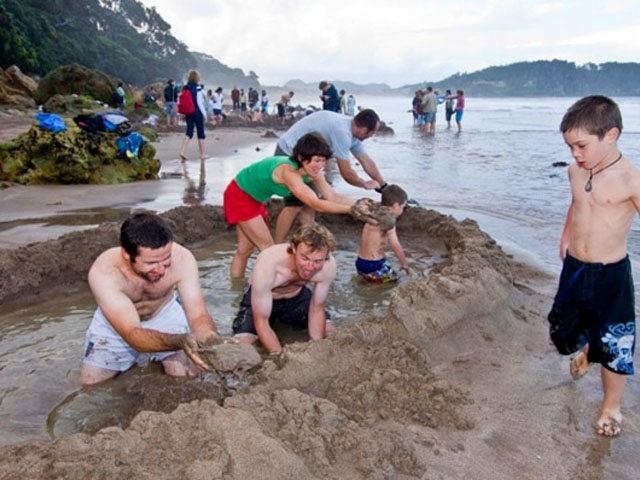 Talk to us about organising a schedule and activities that will suit your group. We at Southpacific are proud to offer a full range of New Zealand beers and wines, to enjoy that quiet drink at the end of your busy day. In our café we offer espresso coffees and a range of pizzas, burgers, and our very full range of cooked breakfasts. 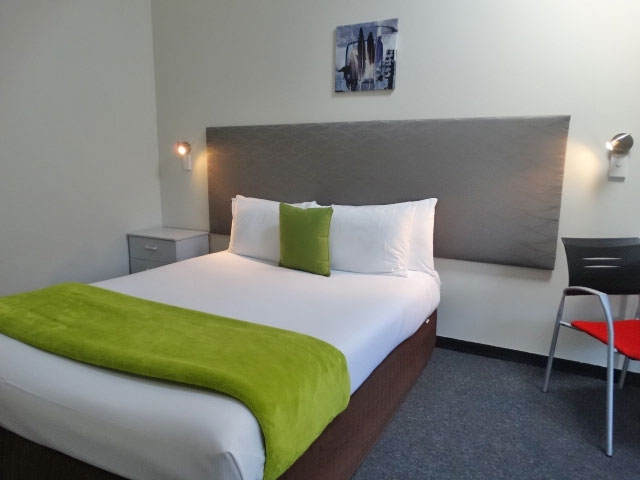 Contemporary 4-star Qualmark-rated accommodation offering studio and one-bedroom style rooms. 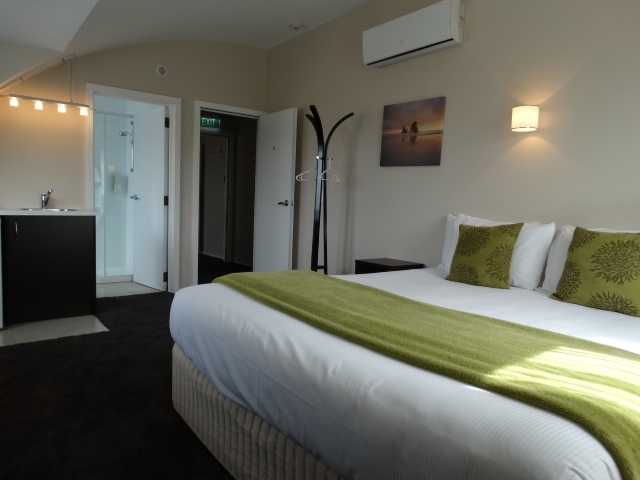 Modern décor and facilities are offered, with some rooms having air conditioning and double glazing which leads to a very comfortable stay. 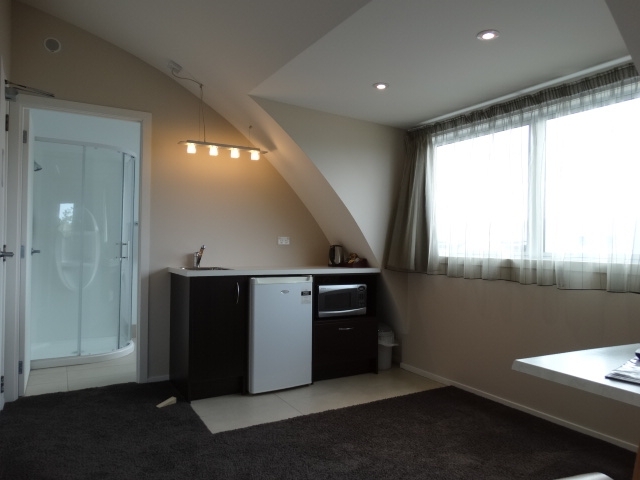 Some rooms have kitchenette cooking facilities. 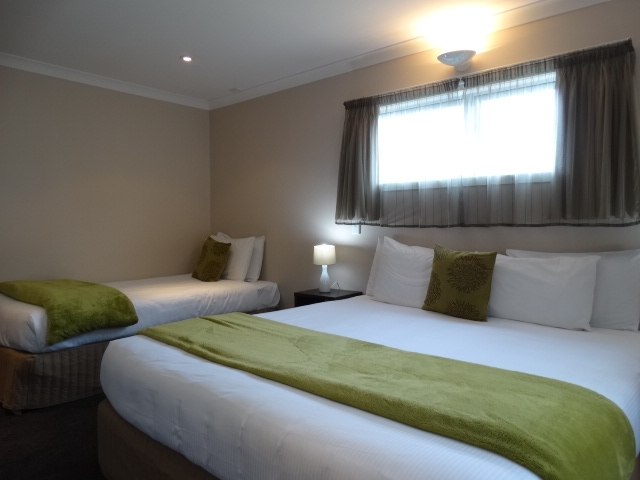 Two of our rooms are set up with full disability access with wheel chair access showers and toilets. Our conference venue is the perfect place for your training, team building, and workshop needs away from the interruptions of the city. Just minutes from the beach and town centre. Fully equipped venue with on-site catering. 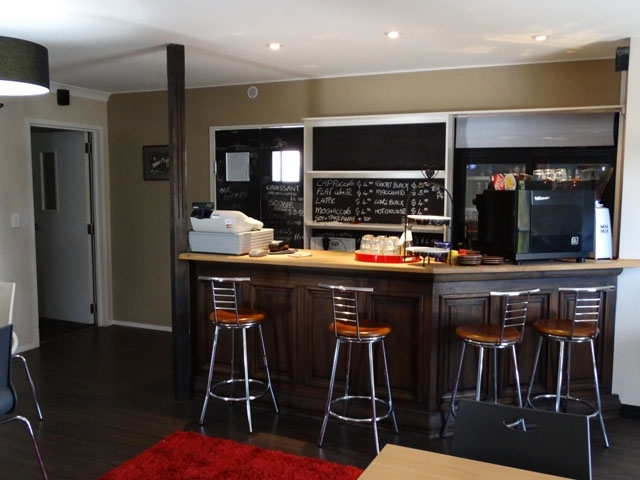 Also with bar / café facilities. 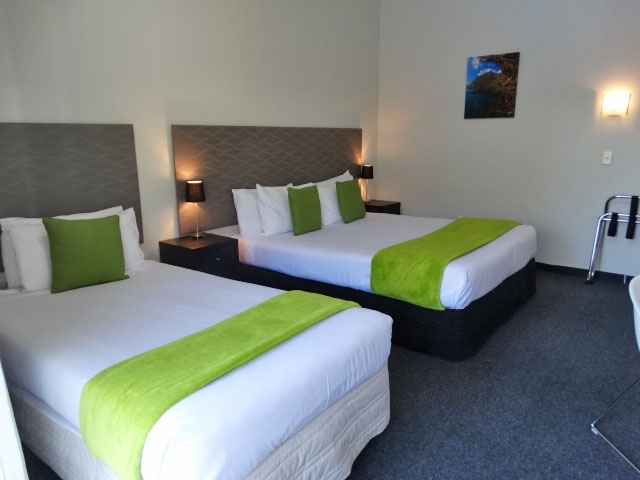 249 Port Road is in the main street of the town, we are only 500 meters from the main shopping centre, 1Km to the main beach. 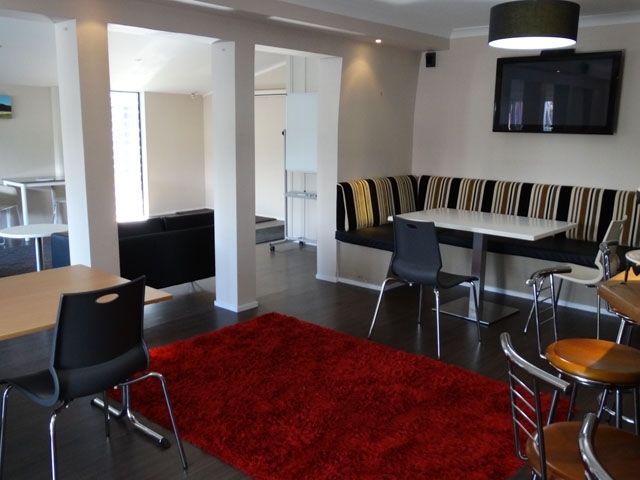 Having a fully licenced bar and café all you need to have a good relaxing time is on-site for you to enjoy your stay at Southpacific Motel and Conference Centre.